Though NBC went back on its upfront pledge to move This Is Us to Thursday, the network still got a major injection of interest on the night thanks to the revival of Will and Grace. It fell from a huge 3.0 premiere to a 1.6 five weeks later, but that's still way better than anything NBC has had on Thursday in years. While that lead-in was totally squandered on sophomore Great News, the NBC Thursday growth was not all about W&G; Superstore and The Good Place both bounced back nicely in the fall, and Chicago Fire moved to the night and became a big improvement at 10/9c all year long. After the new year, Will and Grace was not even a significant improvement on Chicago Med anymore, but the 8:00 and 10:00 hours still carried NBC to respectability. The Good Place gave way to A.P. Bio, which didn't do well but was still a lot better than last year's horrible-rated Powerless. 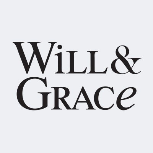 The last Will and Grace episodes of the season were given to another 9:30 bomb in Champions, and the final four Thursday editions of Champions followed W&G repeats. Superstore: It was up in Plus in each part of the year, but looks a bit worse for the full season because it aired a couple more eps in the spring and a couple fewer in the fall. Probably the best news for Superstore was that it avoided falling apart as much at the end of the year this time. Grade: B+. The Good Place: Considering it was off the air for eight months and had gotten a little softer in its January 2017 episodes, it could've gone a lot worse. And even the Plus decline that did happen was mostly concentrated in the special previews to open the season (which fell from 2.3 last year to 1.3 this year). So I think this might be a show where streaming exposure in the off-season actually helped the Nielsen ratings (if not as dramatically as with something like Riverdale). I won't go too crazy with praise because I have a feeling it also benefited some from the hammock with Will and Grace, but it overachieved. Grade: B+. A.P. Bio: It looked just about dead in the first month of its run, suddenly came up with a couple pretty solid points (perhaps not coincidentally while Young Sheldon was off the air), and then fell off again. I don't think it's a horrible renewal but I have to wonder if NBC really needs it after the Brooklyn Nine-Nine rescue. Grade: C-. Will and Grace: Really not sure what to do this one. 136 Plus is a great average, especially from a show that was doing almost nothing in the last years of its original run. The DVR growth was amazing for a comedy. But it was really petering out by the end, including a plummet from 1.4 to 0.9 even just in the winter eps. (And the 1.4 was already a new low compared with the fall.) The season as a whole definitely goes down as a success (at least a little bigger one than I was expecting), but not one that bodes great for the future. Grade: B+. Great News: Up in Plus, baby! But it really gets hammered in the True Plus metric, moving from the very late spring to the fall/early winter after W&G. (And keep in mind that the ten-episode season one technically had only four direct Voice lead-ins, plus a bunch of second episodes that aired at 9:30 and a finale at 8/7c.) It had the occasional sort of hopeful moment in the early fall, but the crash to 0.7 on November 2 was killer, and that version of the show was what showed up consistently in the second half of the season. Grade: D.
Champions: Setting aside anything it did in actual ratings, the delay on this decision was really befuddling considering NBC basically burned off most of the season. As for the ratings, I don't think it was meaningfully weaker than Great News, but that is about the faintest praise imaginable. It's still a 44 Plus on a weeknight...... Grade: F.
Chicago Fire: The move from Tuesday (largely after This Is Us) to Thursday after megabomb comedies was definitely a large timeslot downgrade. A 21% decline in Plus is pretty massive, and the timeslot change was probably not enough to completely explain it, but not too far off. It should be expected to benefit as part of #OneChicago next season. Grade: B. Here's the now updated Schedules Plus for NBC Thursday.